Freshwater Place is the prominent tower second from left surrounded by Eureka Tower on the left and Crown Towers on the right. 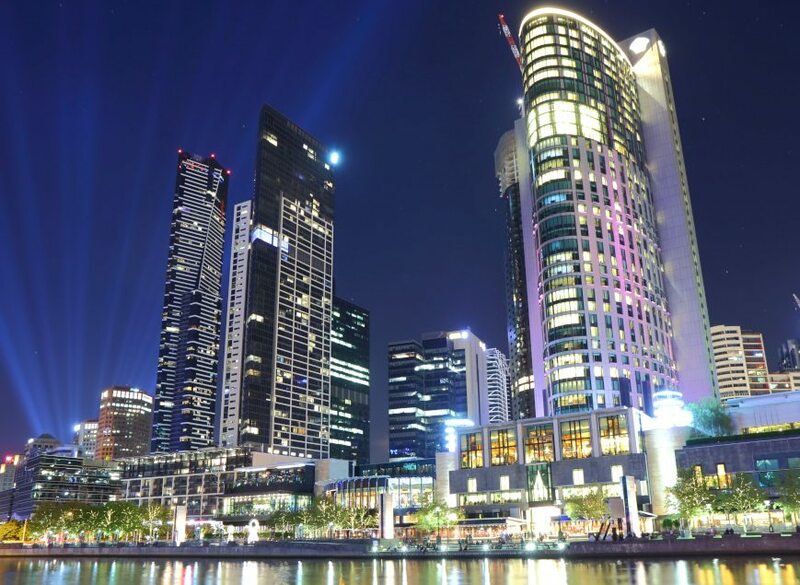 AE Smith proudly delivering services to all three complexes located in Southbank, Melbourne. In the days leading up to Christmas, AE Smith received an urgent call from Freshwater Place Facility Manager, Mike Zverina. The main kitchen exhaust system had failed and the area was full of smoke. The AE Smith team, Lucas Thomas, Refrigeration Mechanic, Paul Strong, Mechanical Fitter, and Gordon Sellers, First Year Apprentice, quickly arrived on the scene and diagnosed the fault. As a critical moment, the situation posed the risk of setting off alarms and evacuation of residents in the floors above. Matthew Scarman, Account Manager for AE Smith’s Victorian Service team believes the response was so fast thanks to the three-year preventative maintenance contract in place. In this case, a motor in the exhaust system of the main kitchen had overloaded and blown up. This shut down the extraction system, which meant no cooking equipment could be used. The AE Smith service team subsequently borrowed a spare motor from Crown Melbourne, another AE Smith client, and had the system back up and running the same evening. The 350kg motor was hoisted in place in record time, ready to meet the demands of the large dinner crowd. “Within four hours it was fixed. This is a job that usually takes about a day and a half,” said Matthew. “Having a maintenance contract in place means our customers can rely on high levels of service, fast response and a team with knowledge of their systems and needs,” said Matthew.